Hi friends! 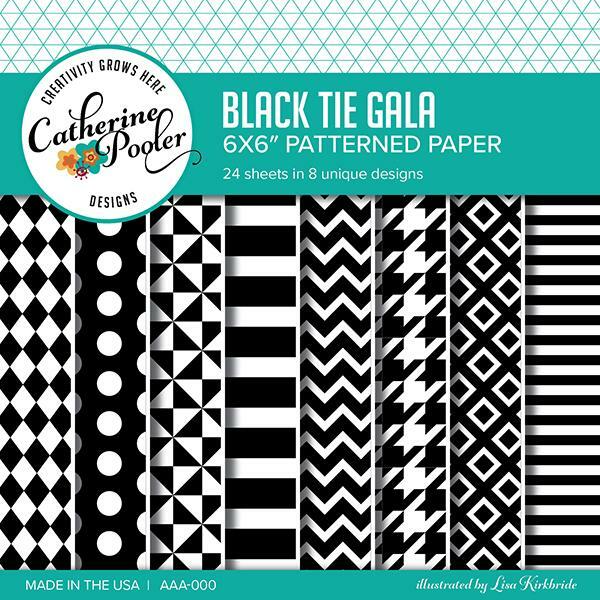 Today I am sharing a card using products from the latest Catherine Pooler release. Did you happen to check out the gorgeous floral set from the last release called Grateful Heart? I took a look at that set and thought right away what a beautiful background those images would be stamped in black on white cardstock. So that's what I did. I arranged them on a large block and stamped it several times on my card panel filling in the gaps where necessary. 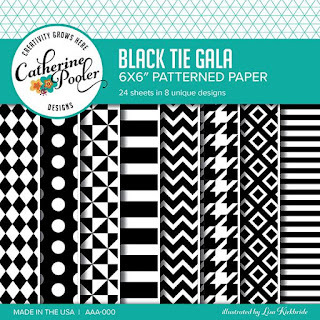 I adhered this to a cardfront and then adhered a small stripe of the must-have Black Tie Gala patterned paper to the left side. For the sentiment I cut a piece of the new Catherine Pooler vellum (48 lb cover weight) and then attached the sentiment that I had die cut with the new Wonderful die. 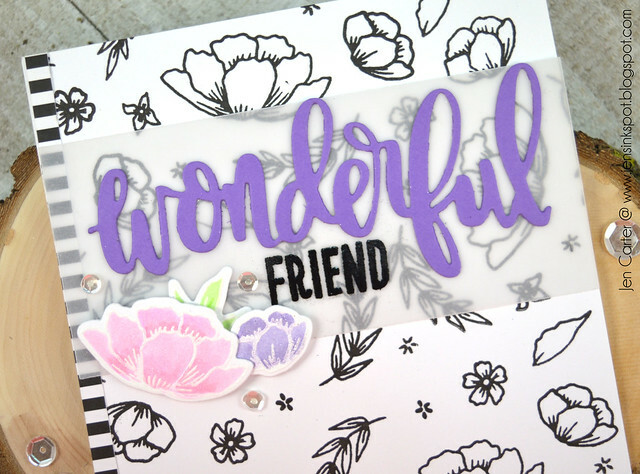 I stamped & embossed the "Friend" sentiment from the Lovely Flowers stamp set. 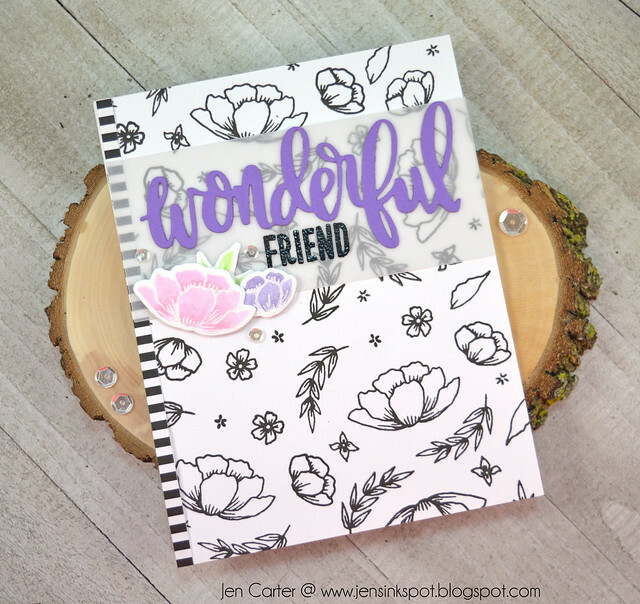 I embossed some of the flowers from the Grateful Heart stamp set and then colored them with my Catherine Pooler inks, just picking up the color from the lid of the ink pads. I finished by adhering some clear sequins. Thanks for stopping by today!! Hope you have a gorgeous day!